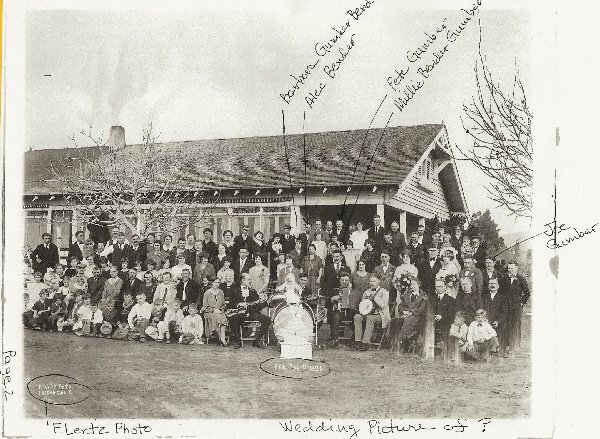 Comments: Pete Gumber (Nee: Bender) | Sanger CA US | 1921-1940 | Comments: This is a wedding poho Feb 14, 1926. Don't know if it was in Fresno or Sanger where the Gumber's and Bender's lived. They were German Schwabens from Neubeschenow, Hungary. I am Looking for GGF Josef Schwan who was close to the Gumbers. The photographer F. Lentz was also from Hungary.